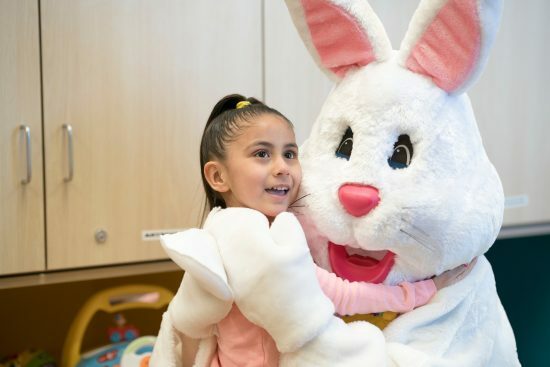 Free Easter Bunny visits for people of all ages and abilities. Individuals with special needs and their families are invited to sensory-friendly Easter Bunny photo sessions scheduled throughout Illinois. Autism Speaks is partnering with Cherry Hill Programs this spring to provide the special events. The Bunny will welcome people of all ages and abilities at several locations across Illinois. The visits will take place in a more subdued and calm environment with extra effort to support visitors’ sensory, physical and developmental needs. The Bunny Experiences are free, and photos will be available for purchase at each event. Reservations are limited. Visit the Autism Speaks website for the full list and to reserve your spot. For more family-friendly spring activities for children with special healthcare needs, be sure to check out our Events page.